Hole 9! This hole is a right-angled challenge that requires two-part assemply. 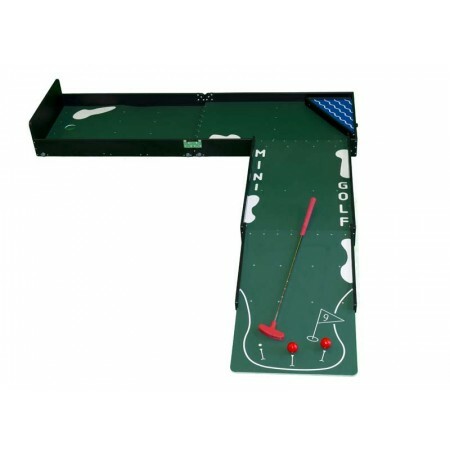 Putt the ball toward the corner, bounce it off the riverbank, and make it into the hole at the end!